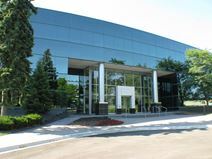 Executive space located near the quadrant at I-494 and I-394 at this suburban office park with convenient access to hotels, restaurants, and the airport nearby. These offices offer an excellent working environment and feature well appointed furnishings all set in a very cultivated landscaped environment. Within easy reach of the Twin Cities this center is opening soon on the edge of Eden Prairie and provides access to companies from logistics, technology, and more. Nearby there is also a choice of restaurants, retailers and coffee shops. Providing easy access just off Highway 62 and Freeway 494 this center provides office space and a beautiful co-working area with private booths. Tenants also have access to five meeting rooms and a training room equipped with the latest technology. The local transport links in the area are also excellent, with a number of convenient and frequent road and rail services operating throughout the region.